i thought i came upon a mirage; nevertheless, they persisted. 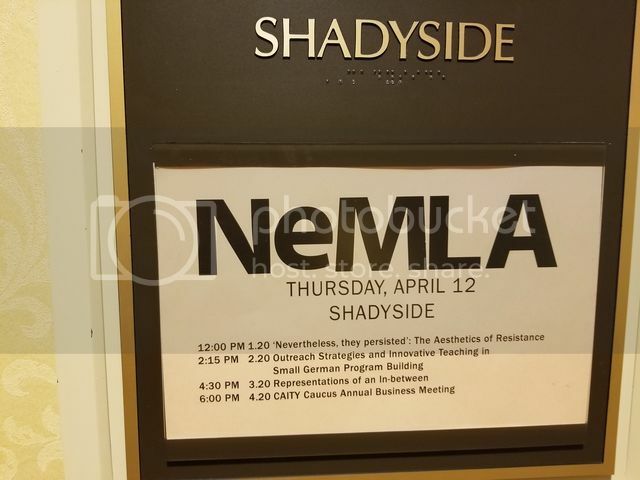 in a bizarre turn of events, the william penn hotel downtown which houses the offices where i just started a new gig on tuesday commenced today the hosting of the conference for the northeast chapter of the modern language association. is it worth it to pay for an independent scholar membership to the mla and go to some conference events, my friends? Two of my students are on a panel there though! And I was here on LJ looking for your Bill Murray post to tell you that thanks to you we went to see them last night, and that was just great (though the audience was sort of not used to listening to classical music). From time to time he'd also let us know Red Sox and Bruins scores. i missed a presentation this morning called "all the world's a stage; the performance of shakespeare across the globe" that sounded promising, but many have not, it's true. i may audit one surreptitiously.